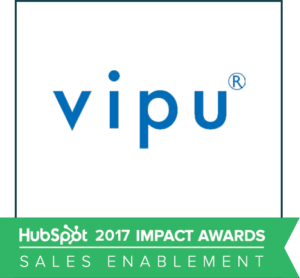 We surveyed HubSpot Impact Award winners to learn about the changes they made on the way to winning. Here is what they said. HubSpot partners are famous for their willingness to share and collaborate with each other. 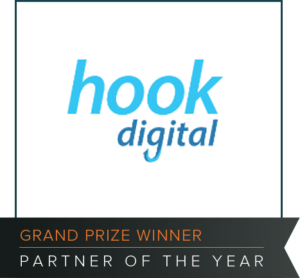 Now that there are over 3700 HubSpot partners, you might expect that each and every agency would be locked in bitter competition to win new inbound marketing retainers. But instead, the program has stayed true to its original, familial atmosphere. 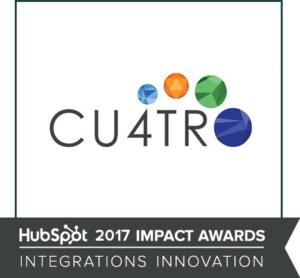 So, when we reached out to winners of the 2017 Impact Awards, many were willing to share their strategies! Agencies submit stories of projects that they have completed for clients over the past year. The client must approve the submissions, and the agency must quantify the impact on the client’s business. Then, a judge from HubSpot decides the winners. This is a pretty competitive process since there are 1000s of other agencies offering similar services. Here are the stories that winning agencies shared with us. Analytics to measure against goals. Transparent and coherent agency processes. Flexibility – We make sure that we’re flexible in our working so that we can quickly and seamlessly adapt to our client’s changing needs. We are always open to suggestions and are completely transparent with our clients during the sales and onboarding process and throughout our partnership with them. Responsibility – We take on a high level of responsibility for the work we do with our clients, and if something doesn’t go as planned, we’ll be the first to communicate this and put a plan in place to resolve any issues. Accountability – We make ourselves fully accountable to our clients and colleagues. We don’t need our hand-holding, but take responsibility for asking for help, support and guidance if required. Inquisitive – We are naturally curious. We are always asking questions and striving to find better ways of doing things. Passionate – We believe in what we do. We are passionate about helping our clients grow, and about having fun along the way. Challenges We Overcame: As agencies grow, you need to overcome general challenges around business operations, recruitment and resourcing. The strategies we have in place aren’t necessarily to avoid these challenges but deal with them if and when they arise. Strategies: We traveled to the remote Wheatbelt town of Northam WA, to host a full day strategic session. 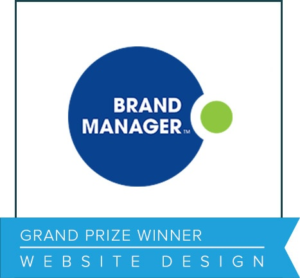 This session enabled BrandManager to understand the business WHY, their goals and objectives, as well as developing a full funnel, 12 months Inbound Marketing campaign. Following the brand strategy session, the next step was to re-design and re-develop their websites, for each division within the company. WBS Group needed 4 websites in total, including two sub-brands, Allied Sheds + Evoke Living. The websites needed to reflect the high quality of the product, and ensured the new message spoke directly to their persona. All 4 websites were redesigned + developed using the Inbound Marketing methodology – connecting with their core persona, their buying journey and for SEO benefits. We improved their lead capture opportunities, by including valued based content, new offers which were highly desirable, improved their blog articles (using in-text links and CTA’s), included new interactive tools and set up content fields, to personalized the web experience. These improvements turned the website from a ‘high leads/low quality’ converting site, to a high leads/high-quality website. Challenges We Overcame: Prior to engaging BrandManager, the WBS Group were generating a large number of leads, but they were very low quality. In situ, their customer conversion rate from online leads was just 2%. The old website was outdated (hosted on WordPress), and not only did it need to become user-friendly, but it needed a professional redesign. The site performed poorly when it was analyzed using ‘Hubspot’s website grader’ and it failed to immediately connect with visitors, once they arrived on site. It was difficult for visitors to understand the core service offering and more importantly, the content didn’t align with the buyer persona pain points. The website had no ‘quality’ lead magnets (offers/tools) and their articles were not achieving views or conversions. They weren’t attracting or engaging the customer. Full Transparency: both internally and with clients. We are 100% honest with where projects are at, where we’re tracking on our goal, and what is and isn’t working. This allows us to stay on top of projects, adjust course as needed, and do what’s best for our clients + their goals. Build a team of Experts. 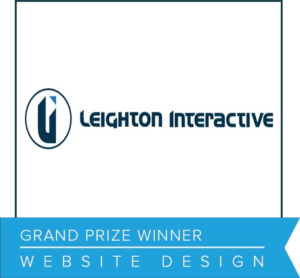 At Leighton Interactive, we’re clear about who is experts in what area, and when + where we are in our Zone of Genius. We all contribute, innovate, ask questions, and support each other — all for the client goal. Challenges We Overcame: Client success doesn’t just ride on the shoulders of one or two people on our team. We collaborate and decide who is best for which projects, and pull in our team as needed. We set clear goals and expectations so that in our mission to solve for the client, everyone is satisfied. 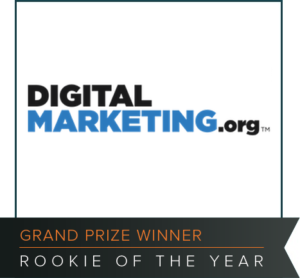 Award Won: Rookie Agency Of The Year and we won! We approached existing clients with a solid value proposition on the migration to HubSpot. 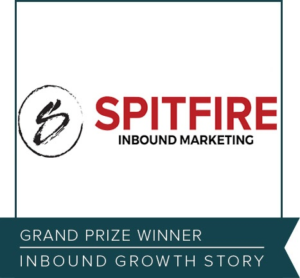 We solicited new clients who needed an inbound marketing strategy and used the power of HubSpot to provide results. We avoided selling HubSpot and sold a comprehensive service that included HubSpot. The majority of our HubSpot signups did so without seeing a demo of the software. Challenges We Overcame: It created a surge of new clients and an immediate commission steam. Marketing and Sales alignment – The marketing team made every effort to align the promotional efforts with the sales efforts. The drive from the internal marketing team to the internal sales team as well as the dealer body made a significant difference the sales results. Measurement – the accurate metrics and daily tracking have helped focus the efforts of both teams to ensure the best ROI. Challenges We Overcame: With the dealers and sales teams aligned and the measurements in-place we are able to choose our media more effectively and respond to clients needs more proactively. 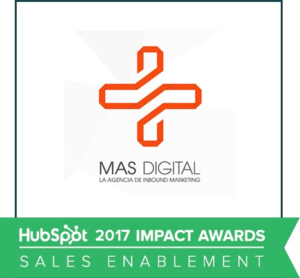 Creating, from scratch, an integration between the tool Key Connection and our client´s HubSpot. 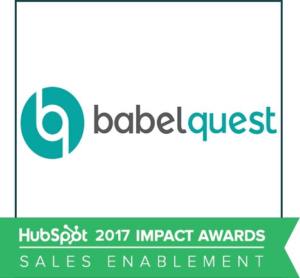 This integration allowed the contact center to receive the leads from HubSpot right away once they were ready to be contacted. Through pre-written scripts built based on a decision tree with Key Connexion, our client´s sales team knew exactly what to say and what to answer depending on the customer´s need to close the sale. Reduce the time the contact center took to connect with qualified leads and standardize the wrap-up time for our client´s sales team. Fully align our client´s sales process and the Buyer´s Journey. 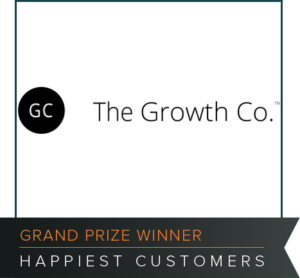 Award Won: Happiest Customers – North America. Strategies: We help companies hit specific goals using our Growth Engineering Methodology. Our process combines content marketing and data-driven growth hacking to position companies as thought leaders and create scalable systems that deliver long-term growth. At the end of every week, we get together as a team and measure every client’s happiness on a scale of 1 to 10. We call this our Happiness Index. It’s based on our progress toward client goals, weekly NPS scores, interactions, and direct feedback. This helps us solve problems quickly and build long-term relationships with our clients. Our happiest customers don’t see us as outsiders — they see us as part of their team. We take this responsibility seriously and tackle our customers’ problems as if they were our own. Challenges We Overcame: Many people believe that marketing doesn’t deliver an ROI. We developed the Growth Engineering Methodology to drive consistent, reliable results. Because of this, our clients trust us to act in their best interests. Strategies: It helped us focus the sale and delivery of services on what the client actually NEEDS, not on that the client WANTS to buy. Making this distinction clear from the beginning helps to keep expectations in check and improve the allocation of resources both for the client and for the agency. Challenges We Overcame: Educating prospects and clients about the ROOT CAUSES that prevent them from growing, as opposed to trying to charm them with empty pitches about innovation, data-driven strategies and marketing technology and other buzzwords. And what are the ROOT CAUSES? Most marketing departments know next to nothing about business. Low budgets, bad websites, poor measurement and failed campaigns are symptoms. It’s as simple as that. If a prospective client has no understanding of basic concepts such as CAC and CLTV, for example, there’s no frame of reference to evaluate the impact of our services on the bottom line. This creates all sorts of problems, the main ones being unrealistic expectations and our work being perceived as operational, low-value and inconsequential. Okay, admittedly, it is tough to learn marketing strategies from case studies, even if they come from the top inbound agencies in the world. And, if you won an Impact Award and want to be featured here, let me know in the comments! Join 25,526 subscribers to receive latest posts.